Health and Safety Record Keeping on Trial: Would your System Stand-Up? 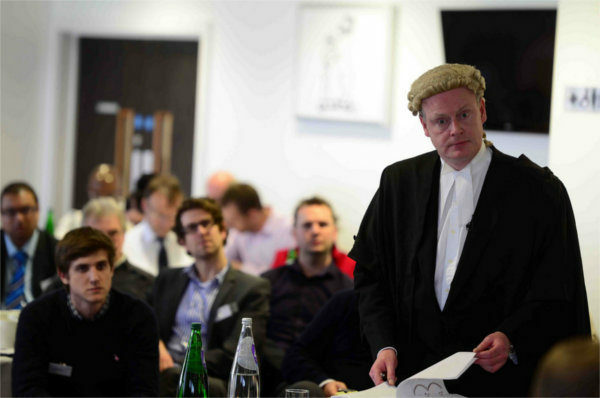 “The Kettle Dale mock trial saw claimant Richard Croft pursue the defendant, Kettle Dale Cricket Club, for damages for an injury he received whilst helping out at the club. Law student Richard, sustained a head injury from a “rogue” ball whilst tending to the off-field. The ball had left the nets through a hole which had not been spotted or logged during any pre-use checks. 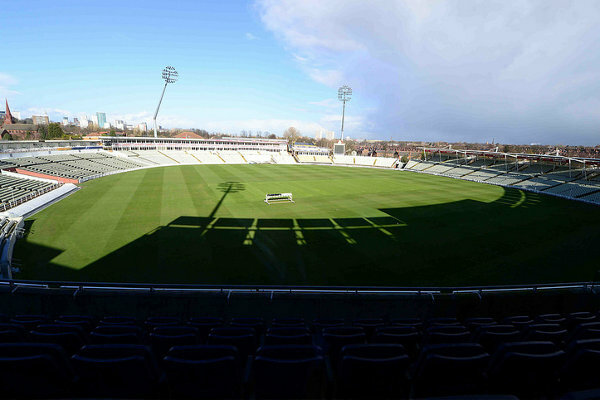 Key to the outcome of the trial was the question of whether or not the claimant (a volunteer grounds man) was actually an employee of the club. This would have affected the club’s insurance and also the process to which the hearing would be tried under. If it was found that the claimant was an employee then the PUWER and Health and Safety at Work Regulations would be tested. If not, the case would be heard under common law and duty of care. The barristers from No.5 Chambers, Rupert Beloff and Malcolm Duthie helped Chris Bright QC make the trial as realistic as possible, and the documents and evidence presented in the case bundle prepared by Perkins Slade were representative of what might ordinarily be presented by an organisation of similar size in a “real life” trial. Much of the evidence presented during the trial was witness testimony which had been presented before the trial. However, it was noted that the defendant’s barrister had asked for supplementary evidence (additional paper records which had been discovered after the court bundle was prepared), to be considered. The judge noted that in future trials of this nature (because of new law which are about to be introduced), evidence presented late is unlikely to be considered in court. Such refusal to take late evidence into consideration could prejudice the outcome of a case, and highlights the importance of ensuring your records are centrally stored and accessible. As the case was a cricket club, there was no formal IT equipment so much of the evidence was on personal devices such as laptops and phones. Again, gathering evidence from different devices and locations could prove difficult if records were not kept in one, central place. During the trial, it was noted that risk assessments and other operational procedures were carried out by the head coach at the club. But although he may well had sufficient knowledge to carry out and document the risk assessment, there was no formal or logged training to evidence his competencies. In addition, there was no evidence to show that the documentation had been updated since it was first written in 2003 – nearly ten years before the incident took place. As such, the PUWER and Health and Safety at Work Regulations did not affect the outcome. In my opinion, this trial clearly demonstrated the importance of having clear and precise records of all policy, procedure, risk assessment, monitoring, competencies and compliance. It also highlighted the need to think about how evidence of logged procedures, incidents and accidents is presented and implemented. For example risk assessments and procedures should be carried out by people with logged formal status (with their status being confirmed via training and monitoring). Clear records need to be kept of who, what, when, where and why inspections are carried out. Your records need to show that you are following-up to ensure compliance with the systems and procedures you have put in place. Another important note to consider is that it was discussed during the trial that important changes to civil hearings like this are due to be introduced. There will soon be no civil liability in Health and Safety legislation, which means that all cases will be brought to hearing on a negligence basis. This means more than ever, that clear records of all procedures for an organisation will be under scrutiny, and the key factor in determining negligence. An example was given: Under the PUWER regulations, even if a piece of work equipment is checked but it fails (e.g. a well maintained postman’s bike breaks while he is riding), the organisation can still be found to be breaching the requirement to provide suitable work equipment. 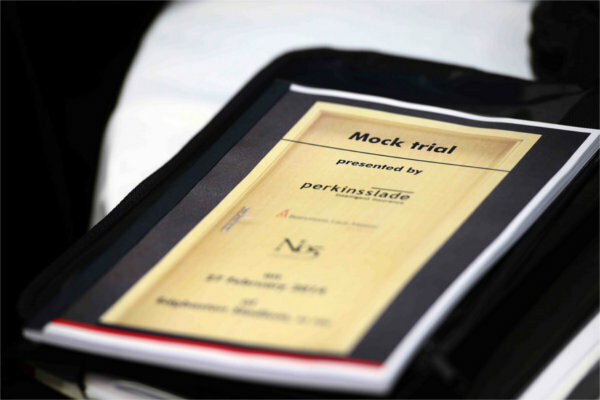 A big thanks to Perkins Slade for arranging the event and granting permission to use images from the mock trial. A huge thanks also to Tom Partridge for sending us his report. Papertrail is the only health and safety management system designed specifically for the needs of those involved in adventure activities and working at height. Local authorities, climbing walls, outdoor activity centres and many more use Papertrail to save time and reduce risk by safely storing their records all in one place. To book a demo and find out how Papertrail could help your organisation, please get in touch. The importance of gathering the entire evidence following an incident cannot be overstated. it is no use expecting solicitors to spot and fill in any gaps. Your case is just one in the middle of their pile. If there is a gap in the evidence, expect the claimant’s barrister to raise it at a moment of his or her choice, for example on the steps of the court or when cross examining the instructor or proprietor of the defendent. Thanks James for your comment. It would be good to get some more information from you as to what information you would expect proprietors/instructors to be gathering as evidence following an accident/incident/near miss. Something we would like to be able to help with for those who use Papertrail.